Even before I saw the gorgeous cover, I was interested in reading Tatjana Soli's new book, as I relished her first novel, The Lotus Eaters, published in 2010, my first novel about the Vietnam War. In 2010 I was also fortunate to interview this gracious author, while she was working on her latest book. 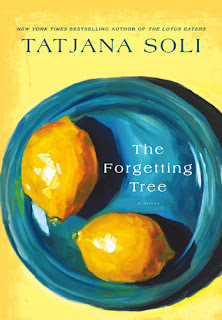 The Forgetting Tree by Tatjana Soli is the author's second novel, which was published earlier this month. "Alone, the last of the sun on her skin, the moment took Claire back to her early days, peeling an orange as she walked through the rows of trees, dropping a confetti of rind behind her, eating the sun-warmed fruit, the girls small and playful as puppies, running in their coveralls through the trees--seeing eternity down the rows the long way, seeing only the bushy trees across--yelling, laughing, You're it! You're it! You're it!" The Forgetting Tree is a novel about the life of Claire Nagy. Claire relinquishes her literary education to follow her heart when she marries Forster Baumsarg, the son of California citrus ranchers. Living on the ranch in Southern California, she develops an intense, lasting love of the land. Early in the book, Claire experiences a horrific, heartbreaking loss at the ranch. As time passes her entire family suffers, and she has ongoing problems with her two daughters, Gwen and Lucy, as well as marital difficulties. Even when Claire is diagnosed with a life-threatening illness, Claire's determined to stay on the ranch. To be a good writer, you need to have style, and you need to have substance. Tatjana Soli's new novel is rich in both style and substance. Beautifully written, sensuous, and profound, The Forgetting Tree is a book about relationships, including the relationships you have with yourself and with your surroundings (in this case, the citrus ranch). The cast of characters in this novel--and I use the word 'cast' purposely because the book is cinematic--especially Claire, Forster, Gwen, Lucy, Octavio, Don, Mrs. Girbaldi, and, of course, Minna, enact a story that's haunting, offbeat, and surprising at times. Claire's caregiver, the mesmeric Minna, is a particularly alluring character; she helps Claire in numerous ways, and reignites Claire's "lost" love of literature. Claire aptly rereads Wide Sargasso Sea (a book I've coveted since reading about it on The Reading Life). The Forgetting Tree features unexpected yet elegant illustrations by the author's husband, Gaylord Soli, which tie into the story well. I could go on and on about this new novel, The Forgetting Tree. Instead, I implore you to read it yourself, and provide a chance for you to win a copy of the book. St. Martin's Press is generously offering a copy of The Forgetting Tree as a giveaway (U.S./Canada only). Enter by 5 PM PDT on Monday, October 1. One winner will be selected randomly and announced on Tuesday, October 2. Special thanks to Lisa from TLC for sending me an advance readers' edition of this book (and for this reason, the lines quoted above may be different in the final version of the novel). 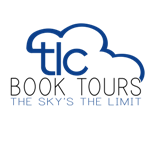 To read more reviews of this book, please visit the other stops on TLC's book tour for The Forgetting Tree. This sounds very good! I have yet to read a book by this author so perhaps this will be it. Thanks! Your review is fabulous and makes me want to read this book right now! It sounds wonderful! No need to enter me. Loved the review can't Wait to read the book. Not eligible, but it does sound interesting & anyone who can reignite a love of literature is worth noting. This sounds like a great book, your wonderful review makes me want to read it. I'm a fan of this authors as well after reading The Lotus Eaters. How nice that her hubby's illustrations are included. No need to enter me. I just wanted to say that I got this one in audio the other day and can't wait to listen to it! Thanks so much for the giveaway! This books sounds so good! This does sound like a great book. Anyone who likes Jean Rhys is ok by me! Thanks for the mention. This sounds like my kind of story. Thanks for the giveaway, but I do have a copy --need to read it soon. I loved The Lotus Eaters, so I really want to read this one at some point. Great review as always! What a nice review, Suko,, you make the book sound quite interesting. The cover of this one caught my eye too. From your review it sounds like a wonderful book. I posted the giveaway in the sidebar of my blog. Don't have a copy of this one. Would love to read it! Your review of this book was very beautiful and elegant, and since I loved Soli's first book, I am planning on reading this one at some point as well. I think what I crave most in literature is substance, and the fact that this book has loads of it really entices me. Fantastic review today! Sounds like a good read full of interesting characters, thanks for your recommendation. Tatjana Soli is one my favorite authors of all time...I am just addicted to the way of her writing style & the detail she include is really worthy.. I love that her husband provide those wonderful illustrations you mentioned - what a surprising treat! I've read The Wide Sargasso Sea twice [adore Jean Rhys] and that slim volume has a place in my pesonal library as well as my heart. Include me in the give away please: iko220@yahoo.com. I'd love to read this (and I keep meaning to get to The Wide Sargasso Sea! It's on my Classics Club list, so maybe some day sooner vs. later). I feel sad that I haven't even read The Lotus Eaters yet by this talented author for whom I've only heard good things. This sounds wonderful. Great review!